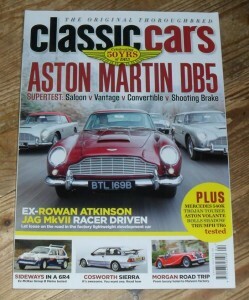 April 2013 of the British Magazine, Classic Cars. 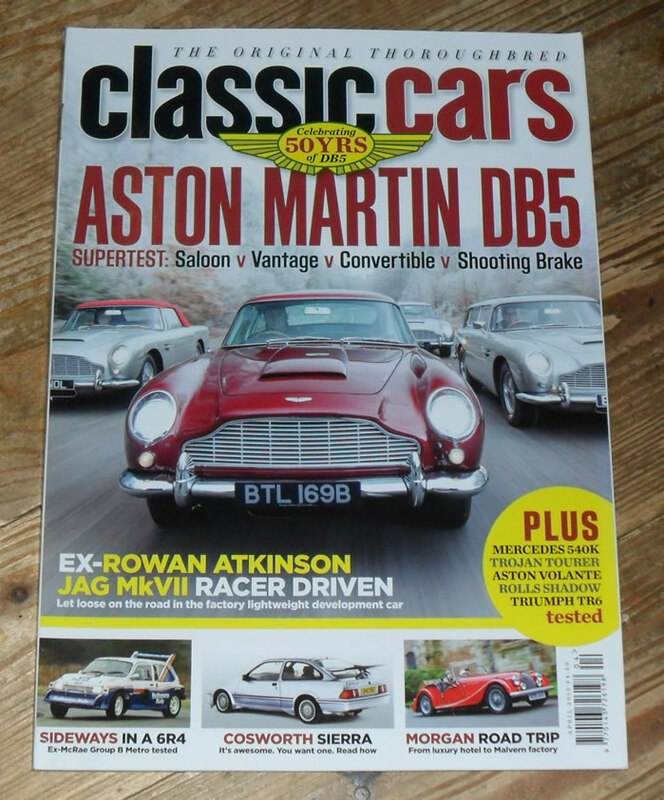 The cover feature of this issue is the Aston Martin DB5. Other articles include items on the Cosworth Ford Sierra, Metro SR4, Jaguar Mk VII, Mercedes 450 SEL 6.9, Morgan 4/4 Twin Cam and many more.